Clampitt, ed. 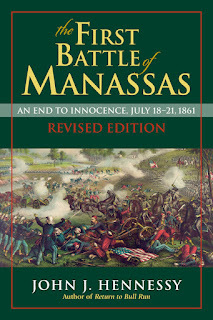 : "THE CIVIL WAR AND RECONSTRUCTION IN INDIAN TERRITORY"
Between the publication of Annie Abel's early twentieth century classic series and today, Civil War in Indian Territory coverage in the literature has been both sparse and qualitatively disappointing but a fine scholarly overview now exists in the form of Mary Jane Warde's When the Wolf Came (2013)1. Whether or not Warde's award-winning study will spark more specialized scholarly attention remains to be seen but another broad approach is revealed in The Civil War and Reconstruction in Indian Territory. Edited by Bradley Clampitt, the volume is the first published collection of original essays dealing with the war in what is now the state of Oklahoma (at least in true book form2). In addition to Clampitt's subject introduction, there are eight essays by historians Richard McCaslin, Clarissa Confer, Brad Agnew, F. Todd Smith, Christopher Bean, Linda Reese, Amanda Cobb-Greetham, and Whit Edwards. Richard McCaslin begins the anthology with a very brief overview of military events in Indian Territory during the war. The essay offers a fairly thorough introduction (with some helpful further reading ideas in the chapter notes) but it's too bad no specific battle articles made it into the collection, given that only a tiny handful of these distinctive clashes are adequately covered in the literature. A good opportunity to introduce a wider range of readers to unique units like the Indian Home Guard regiments was missed, too. Clarissa Confer delves into the various means of destruction that the war brought to the territory. With intra-tribal conflicts, frequent invasions, mass robbery and plundering, guerrilla violence, property and crop destruction, commerce disruption, famine and disease, the home front experience in Indian Territory closely mirrored that of the worst affected sections of the Border States. Many tribes experienced frightful population losses from all causes. Like whites in Kentucky and Missouri, residents of Indian Territory quickly found out that Civil War neutrality was out of the question. 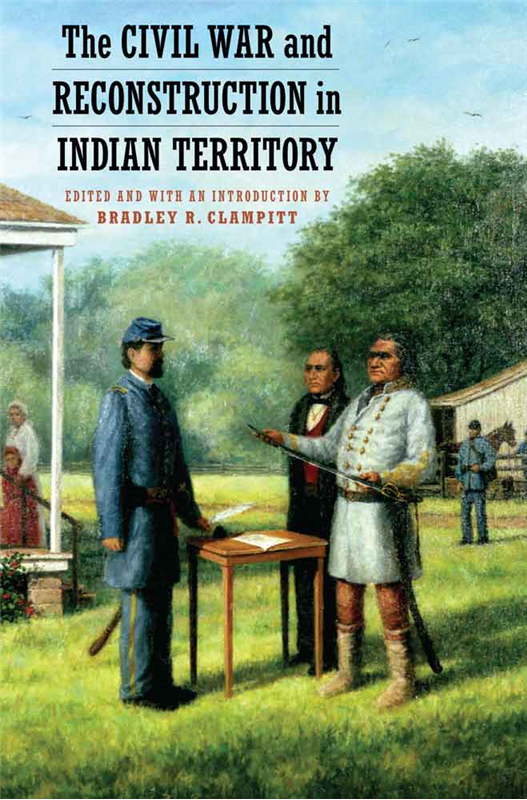 Exploring many themes common with Confer's chapter, Brad Agnew looks specifically at the "Five Civilized Tribes" (or the currently more favored term "Five Nations," the Cherokee, Creeks, Choctaws, Chickasaws, and Seminoles) that occupied most of the eastern half of the territory. Abandoned by the U.S. army and with treaty promised subsidies suspended, some bloc of each tribe entered into new agreements with the Confederacy. 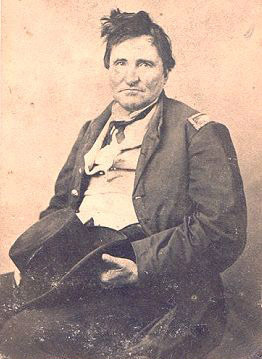 Dissent between pro-Union and pro-Confederate factions was rife, especially among the powerful Cherokee and Creek nations. Citing this existing disunity, Agnew challenges earlier views that the period between removal and Civil War was something of a golden age of recovery for many tribes. With much of the literature focused on the eastern half of Indian Territory and the Five Nations, F. Todd Smith instead takes readers to the Wichita Agency (populated by the Wichita, Caddo, Tonkawa, and Penateka Comanche) in the far southwest, between the Red and Canadian rivers. Squeezed between hostile Texas and aggressive Kiowa and Comanche raiders, the agency tribes were similarly enticed into an alliance with the Confederacy and they suffered just as much as their eastern counterparts when supply and protection agreements broke down. 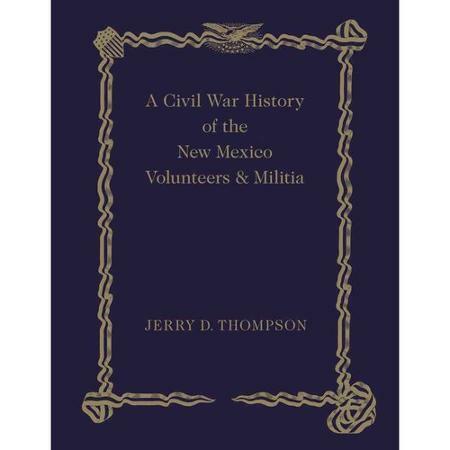 Analogous in raw and proportional numbers to Bear River and Sand Creek, the 1862 Tonkawa Massacre perpetrated by a mixed-tribe force of Union-armed attackers has received comparatively scant attention and is only briefly mentioned in the essay. Reconstruction in the territory is the subject of Christopher Bean's chapter. The federal government used the war as an excuse to erase prior treaty obligations and impose or negotiate new agreements. Pro-Union factions were dismayed to find that they had little if any leverage on issues of sovereignty, treaty protections, and land. However, negotiation was still possible as those tribes, ironically the pro-Confederate Choctaws and Chickasaws, who came to the table with a united front and effectively used the tools of the system (ex. powerful lawyers, lobbyists, public relations, etc.) were able to forge better deals. Emancipation and railroad right of way concessions were the only ironclad requirements at the time, with programs of assimilation and the creation of a single government to be implemented later. Tribal citizenship and other rights considerations for the territory's freedmen were bitterly contested and often violently disputed issues and, in the following essay, Linda Reese charts the decades long battles for freedmen's rights among the ex-slaves of the Five Nations. Finally, Amanda Cobb-Greetham examines Cherokee and Creek women's home front oral histories and public historian Whit Edwards, lamenting the territory's general lack of coverage in both popular histories and lower level Civil War courses, promotes the idea of using historical reenactment as a way to involve today's public in learning more about the Civil War in Indian Territory. 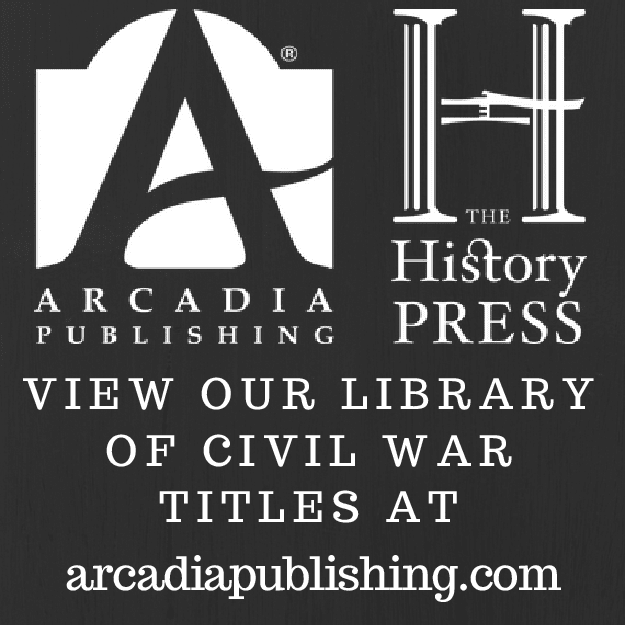 Seemingly designed for both serious students and more general readers, the essays anthologized in The Civil War and Reconstruction in Indian Territory together offer a solid overview of the range of social and political themes related to the internal and external challenges imposed by the Civil War. They also effectively highlight key post-war concerns, some of which are ongoing, over tribal sovereignty and the rights of freedmen. 1 - When the Wolf Came: The Civil War and the Indian Territory by Mary Jane Warde (Fayetteville, AR: University of Arkansas Press, 2013). 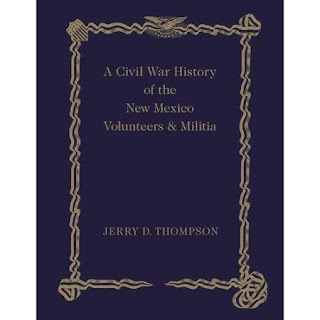 2 - A case could be made that The Civil War Era in Indian Territory edited by LeRoy H. Fischer (Lorrin L. Morrison, 1974) fits the bill but its content is composed of previously published journal essays. More recent is Kepis and Turkey Calls: An Anthology of the War Between the States in Indian Territory edited by Mark L. Cantrell and Mac Harris (Western Heritage Books, 1982), but that pamphlet also collects its material from another publication (in this case, the journal Chronicles of Oklahoma). • Echoes of Glory: Historic Military Sites across Texas by Thomas E. Alexander & Dan K. Utley (TAMU Pr, 2015). This is a companion book to the authors's Faded Glory: A Century of Forgotten Texas Military Sites, Then and Now (2012). Both books explore obscure Texas sites active during the distant past through today, some with only traces of remains. Echoes of Glory examines 24 more military sites. Among the Civil War related items of interest are Fort Mason, Fort Phantom Hill, the San Antonio Arsenal, the site of the 1861 Battle of Adams Hill, Fort Magruder, and the Huntsville State Penitentiary (which manufactured cloth for the Confederate war effort). I also finally learned the proper trade name for the type of binding that this book employs. Flex-bound is that type of hardcover-softcover hybrid commonly seen in travel/nature guides and blank sheet journals. • The Second Day at Gettysburg: The Attack and Defense of the Union Center on Cemetery Ridge, July 2, 1863 by David L. Schultz and Scott L. Mingus, Sr. (Savas Beatie, 2015). 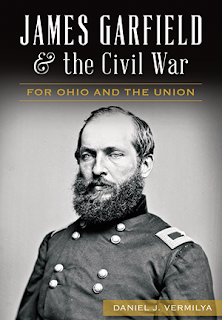 About ten years ago, Schultz (with David Wieck) authored a book about the the Second Day at Gettysburg, The Battle Between the Farm Lanes: Hancock's Ride Saves the Union Center July 2, 1863, which was published by Ironclad. He returns, this time with Scott Mingus, to detail the entire July 2 series of events from the perspectives of both sides. At nearly 500 pages of narrative, The Second Day at Gettysburg is a huge book. As expected, it receives the full Savas Beatie treatment when it comes to maps. The new volume "expands on David Shultz and David Wieck’s critically acclaimed earlier work The Battle Between the Farm Lanes. 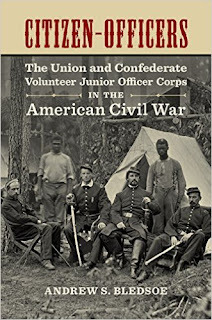 This completely revised and expanded study, which includes new photographs, original maps, and a self-guided tour of the fighting, is grounded in extensive research and unmatched personal knowledge of the terrain. 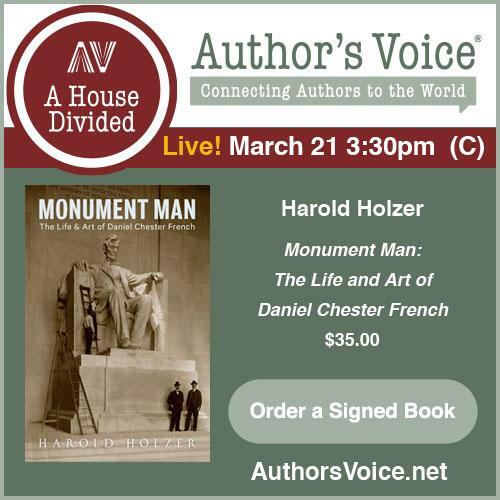 The result is a balanced and compelling account of this often overlooked portion of the battle." Another major work to add to your Gettysburg library. Ever since I first read about the Civil War contributions of Polish-American engineer Valery Sulakowski to the Confederate cause in the Trans-Mississippi, I've wondered if anyone was working on a book about Polish officers that served in the war. I don't know if Sulakowski is one of the nine individuals profiled in Mark Bielski's upcoming Sons of the White Eagle in the American Civil War: Polish Officers on Both Sides of the War Between the States (Casemate, Spring '16) but I hope to find out soon. 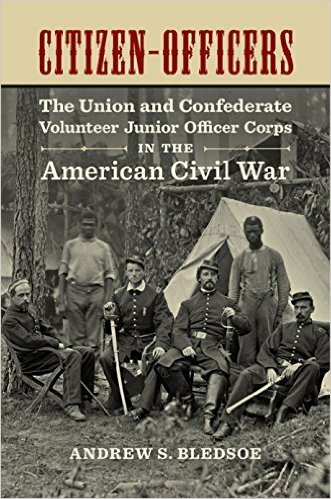 Booknotes: Surgeon of the "Old Sixth"
• Surgeon of the ''Old Sixth'': The Life and Times of Dr. Norman Smith and the Civil War's 6th Massachusetts by M.P. McConnell (Ellen Carson Pub, 2015). Dr. Smith was the regimental surgeon of the 6th and the book covers his time with the 90-day volunteer regiment from its famously warm April 1861 reception at Baltimore to its August mustering out. In the intervening period, the regiment safeguarded the approaches to Washington. Author "M.P. 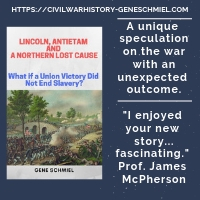 McConnell vividly exposes the chaos of the first days of the Civil War when the stakes were so high including new details about the ''Old Sixth'' Regiment's camp conditions, health problems, number of Baltimore casualties, and discipline challenges at the end of its service. The medical practice of a 19th century New England doctor comes alive in the story along with details of the first amputation of the Civil War by Dr. Smith just steps away from the Capitol Rotunda in the then chambers of the U.S. Supreme Court." The sexagenarian Smith didn't reenter military service but rather traveled to Europe for a time before returning home to the U.S. Also from the description, the book is "(r)ichly illustrated [much of it in color] with the first-ever gathering of period artwork and photographs chronicling the ''Old Sixth'' Regiment's service and is the product of "extensive research into archival collections with never before published first-hand accounts from letters, diaries, and orderly books ..."
• The First Battle of Manassas: An End to Innocence, July 18-21, 1861 Revised Edition by John J. Hennessy (Stackpole, 2015). 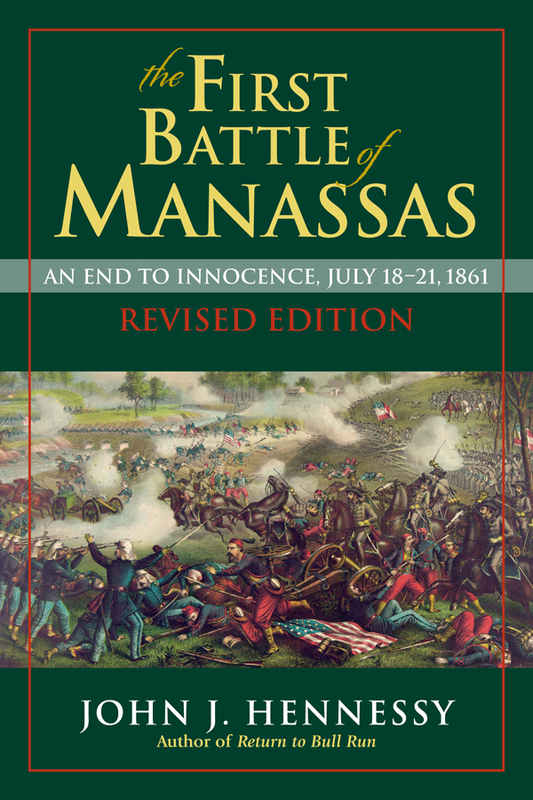 For detailed discussions of the fighting at Matthews Hill and Henry Hill on July 21, the appropriate sections of Edward Longacre's recent tome have been the closest rival to John Hennessy's 1989 classic The First Battle of Manassas. Now Hennessy had upped the ante with a revised edition that was just released about a week ago. There's no new introduction to orient readers regarding specific improvements but the maps have been redone (marginally improved, I would say) and there's around 30 pages worth of fresh text. This is a must-have for the FBR section of your home library.